The Other Israel Film Festival has become a leader in the presentation and promotion of films by and about Palestinian and other minorities within Israeli society. As part of its ongoing support of films and filmmakers telling the stories of these diverse communities, the Other Israel Film Festival established a funding program, encouraging creative cinematic development of films highlighting minorities. With the help of our fund, we hope to bring more diversity to the big screen and to audiences around the world.  The funding program was established in 2009 by the Other Israel Film Festival @ The Marlene Meyerson JCC Manhattan with a gift from Mrs. Carole Zabar. To see all of the films supported by the Other Israel Film Fund click here. The Other Israel funding program considers projects on an ongoing basis in four categories – Development, Production, Completion, and Distribution. We most often support films that are in post production with finishing funds, but at times give development grants, production support and distribution support. Detailed budget required for development of the project. List of other funding sources (if applicable). Technical information page, detailing cast, crew, shooting format, expected runtime, and schedule. One page treatment, referring to the visual aspects of the film. Filmmakers’ (director and producer) bio and filmography. Available footage / rough cut materials. Audience outreach strategy and distribution plan. * The Festival has the right to require additional materials and information as needed for its decision. * As a condition for the Festival’s investment in the projects, an agreement will be signed between the filmmaker and the Festival. Applications may be submitted year-round via email: [email protected] (mailing address for submission of DVDs will be provided upon receipt of email application).